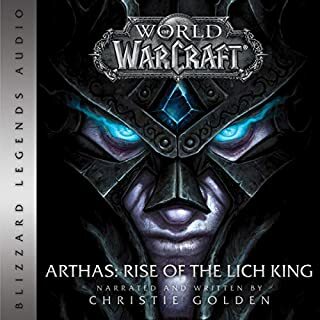 Presenting the book World of Warcraft fans have been clamoring for - the true story behind one of the Warcraft universe’s most terrifying villains, Arthas the Lich King. Though the young Warchief Thrall ended the demon curse that had plagued his people for generations, the orcs still wrestle with the sins of their bloody past. As the rampaging Horde, they waged a number of devastating wars against their perennial enemy - the Alliance. Yet the rage and bloodlust that drove the orcs to destroy everything in their path nearly consumed them as well. Long ago, on the idyllic world of Draenor, the noble orc clans lived in relative peace with their enigmatic neighbors, the draenei. It's been years since 12-year-old Aramar Thorne, a clever boy who is never without his precious sketchbook, has seen his father. So when Captain Greydon Thorne comes ashore and asks his son to join him at sea, it feels as if someone has redrawn Aram's entire world. 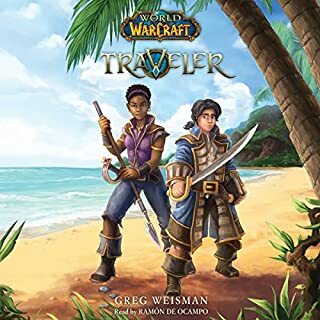 At sea Aram struggles to get along with the Wavestrider's crew - especially second mate Makasa, a tough teenage girl who has been reluctantly placed in charge of him. In the world of Draenor, the strong and fiercely independent Frostwolf Clan are faced with increasingly harsh winters and thinning herds. 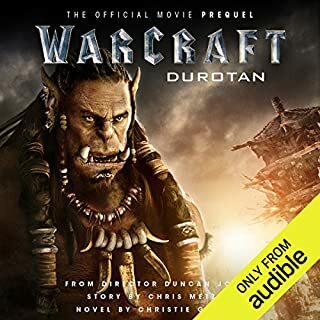 When Gul'dan, a mysterious outsider, arrives in Frostfire Ridge offering word of new hunting lands, Durotan, the clan's chieftain, must make an impossible decision: abandon the territory, pride and traditions of his people or lead them into the unknown. Behind the legend stands an individual hungry for justice and vengeance - as the adventure, intrigue, and heroism of World of Warcraft rise to a new level. Illidan Stormrage is one of the most powerful beings ever to walk the lands of Azeroth. He is also one of the least understood. Behind his legend, beneath his enigmatic mission, lies a brilliant mind whose machinations are comprehended by few - and trusted by even fewer. Illidan's righteous reign of justice and vengeance has begun. Long ago, the night elf sorcerer Illidan infiltrated the demonic Burning Legion to ward off its invasion of Azeroth. Instead of hailing him as a hero, his own kind branded him the Betrayer, questioning his intentions after he appeared to aid the demon lords. For 10,000 years he languished in prison - vilified, isolated, but never forgetting his purpose. Now the Legion has returned, and there is only one champion who can truly stand against it. Released from his bonds, Illidan prepares for the final confrontation in the alien realm of Outland, gathering an army of grotesque fel orcs, serpentine naga, cunning blood elves, and twisted demon hunters to his side. He alone knows what deeply hidden motives guide his hand; he alone understands the price that must be paid to defeat the enemies of creation. Yet as before, he is assailed by those who see his schemes as a cynical quest for power, including the night elf Maiev Shadowsong, his former jailor. Warden Shadowsong and her Watchers have pursued the Betrayer to Outland to exact retribution for his crimes, and she will not rest until Illidan is in her custody...or in his grave. The book takes us into the mind of illidan and several other characters of note, some new some familiar. I enjoyed the music from Warcraft at the start of certain chapters for an all too familiar sense of immersion. Many parts of the story play out as one will remember if they played WoW, but the filling in the gaps was very well done. Many unaccounted for events were expanded upon which seem like they will be explained in the legion expansion. If you enjoy Warcraft lore you will like this novel. A Great Listen for WoW Players! You'll never look at the Burning Crusade the same way again! It truly puts the expansion, the threat and Illidan's actions into perspective. A Great way to get prepared for Legion! Excellent story and anexcellent voice performance. What did you love best about Illidan: World of Warcraft? It was compelling and I couldn't stop listening almost from the very start. Illidan of course. I've always hated that his story went south. He wasn't the ideal guy and didn't always have the best motivations but he did try to make things right when he learned the truth of the Burning Legion. I can't wait to see how this plays out in the next expansion and beyond. Also, please Blizzard, please have William King write more books. I was uncertain about a new author but have been bored with Knaak for a while. King is such a great story teller and a breath of fresh air. Please let him do more. What does Graeme Malcolm bring to the story that you wouldn’t experience if you just read the book? He did a great job. He didn't try to pitch his voice to sound feminine or to do a voice that was outside of his natural range, which always annoys me with other voice actors. I felt the whole time as if I was just sitting and listening to a great story teller unraveling a tale. I loved every minute of his delivery. Must have for Warcraft fans. Basically covers the retcon for Illidan Stormrage during the Outland business. Also acts as a back story to the Demon Hunter storylines. I found this to be one of the better narrated audiobooks, I've ever purchases, so that's a plus as well. 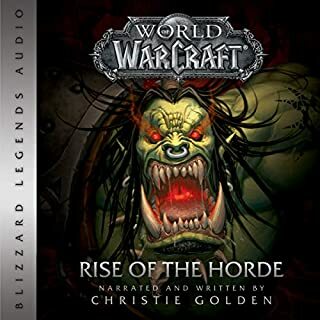 First audio book, enjoyed every minute, if you enjoy burning legion lore then this is a fantastic book! The battle at the end "raid" was pretty amusing. What made the experience of listening to Illidan: World of Warcraft the most enjoyable? What was one of the most memorable moments of Illidan: World of Warcraft? Its a Warcraft Book, better than Dawn of the Aspects, not as good as Arthas. In the same way bacon is better than ham, but not as good as steak. This was my first audible book and it lived up to more than what I expected. The application was easy to navigate and was very useful. I particularly enjoy that I can still use the functionality of features when my device times out. As my collection grows, especially within this series, I am looking forward to revisiting these books using yet another feature that will playback my favorite storylines seamlessly and in sequential order as they were meant to be read. 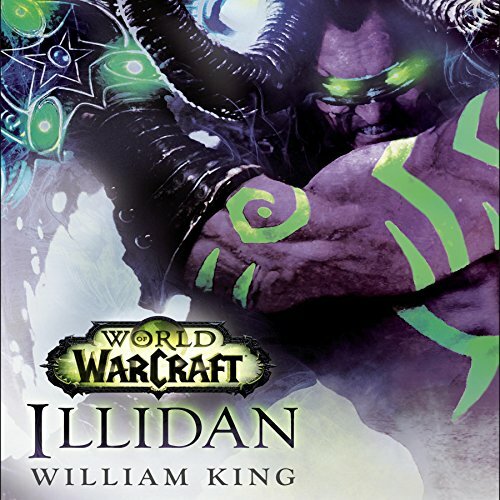 As a player of World of Warcraft I knew this was a book that I was going to enjoy; especially a book about one of my heroes, Illidan. From one player to another I highly recommend the World of Warcraft series of books. I found details and nuances that cannot be found within the game. These bits add an essential element that brings depth, clarity, and understanding to the game. These books are a must-have companion for any fan of the World of Warcraft universe. Greame Malcom's performance was exceptional. Greame's tone and tempo added a layer of dimension that draws you in. His character portrayals made the characters come alive giving them depth and form. Greame's use of words and names specifically created for the World of Warcraft universe were articulate and executed with expertise. 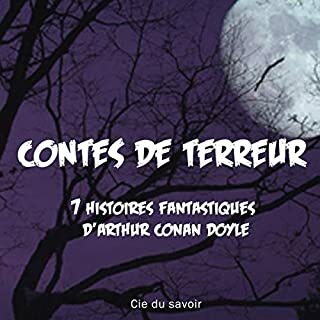 I often found myself imagining listening to an epic tale sitting by a warm hearth or campfire regailed by an old story-master and hanging on every word. 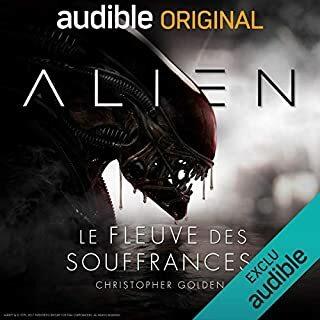 Bravo to everyone involved in creating this story and bringing it to life on Audible! great story that really goes along with the game. loved it. narration was great. the narrator had a sootging voice that put you to sleep if in bed though. this was an amazing read. If you played BC, listen to this book and you'll see it from the antagonists side. Wer der englischen Sprache mächtig ist, wird mit diesem hörbuch sehr viel spaß haben. Die lore von wow war schon immer mitreißend wie es hier mal wieder bewiesen wurde. der Sprecher hat mir sehr gut gefallen, von der Geschichte war ich nicht so ganz überzeugt. Wenn man sich nicht jeden Namen und jede Figur schon aus dem Spiel gemerkt hat, fällt es schwer zu folgen. Ähnlich wie George R.R. Martin wirft das Buch mit Namen und Figuren um sich und schert sich wenig um deren Beschreibung. Wer also die Charaktere aus World of Warcraft nicht schon kennt und sich ein bisschen Hintergrund zum Geschehen im Spiel erhofft, der sollte zumindest Google bei der Hand haben, um nicht den Faden zu verlieren. super Sprecher! tolle Story und gute Stimmen! Weniger Freude bereitete mir der Sprecher Graeme Malcolm... er spricht zwar klar und deutlich, aber er hat es für mich nicht geschafft, eine spannende Atmosphäre zu schaffen. Teilweise wirkte sein Sprachrhythmus auf mich sogar einschläfernd... bei Passagen, die eigentlich spannend waren. Diesen sprach er als einen Satz von vielen... wie einen Satz, der halt da steht und vorgetragen werden muss. Für WoW-Fans empfehlenswert... in der OV vielleicht aber eher als Buch und eher weniger als Hörbuch. Die deutsche Version kenne ich nicht. awesomely written awesomely narrated anwesome nostalgia for the burning crusade. Loved every minute of it. very well told story with different perspectives on the story of the burning crusade .